Then I could simply extend RestClient to handle things like urls, parameters, and custom headers for each webservice client class. Currently, I’m sorry to admit I have a jumble of cut & paste code that intermingles JSON serialization with HttpWebRequest handling — but at least I’ve abstracted out URLs & stream handling into a base class. For maintainability (by someone else) I’ve avoided extending HttpWebRequest and HttpWebResponse to make them less painful. Also, by not allowing default constructors, I’d have to end up using composition. I’ve looked at other libraries, like Hammock, but I don’t really see much value added. The level of abstraction it uses for just the 2 lines of basic auth code is staggering. I’ve written a quick example that shows how to use custom annotations on JUnit tests to map them to Quality Center test cases. The trick is using the “Rule” to get the testName which is available in Junit 4.5+ to get the currently executing test method. It’s probably a bit unnecessarily complex of an example, since “related” is something extra I added for my own analysis. This code is available on the QCIntegration repository on github. 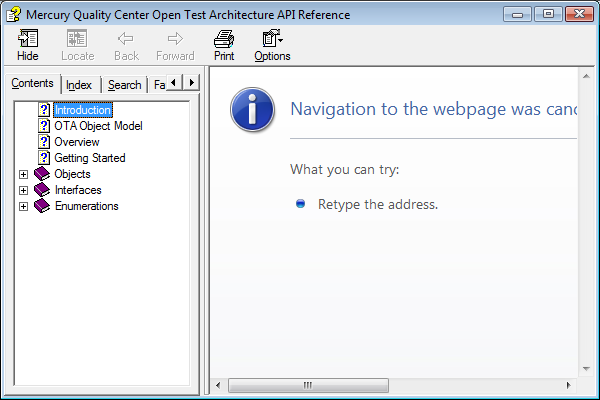 Documentation on the OTA API can be download from Quality Center. 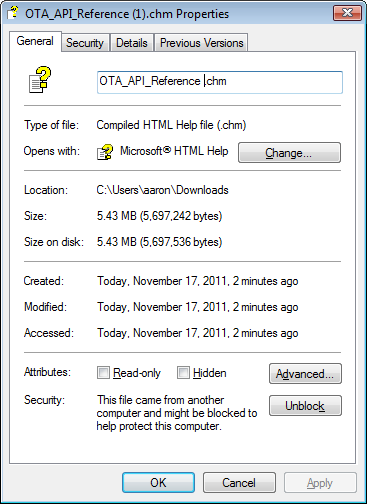 This file came from another computer and might be blocked to to help protect this computer. Microsoft’s idea of security is to write insecure code and then instead of patching it, have you to click a button to perform normal actions that could just as easily still install a virus.